When you think about it, artwork in games is completely optional. Most games would still be perfectly functional if you replaced all the character models and intricate level geometry with untextured cubes. So, why then do we insist on spending so much time designing such detailed level environments and character models? Are highly detailed 3D character models really better than Atari 2600 sprites if the gameplay’s still top notch? The short answer, yes. The long answer, heeeeeeell yes. Despite what some (mostly indie) gamers say, graphics do matter. Or, more to the point, art matters. Now there were certainly some great Atari 2600 games back in the day (Enduro, River Raid), but now that game developers have the technology to render great art in games, appealing graphics have become an essential component, on par with functionality. River Raid is fun to play but because of the graphical limitations, there’s not much to get attached to. A good art style makes the game world look interesting and feel worth investing in. And this week, we’re going to be talking about the importance of interesting looking enemies and what they add to the gameplay experience. These games combine technical competence with appealing art, and especially stellar looking foes. Emperor Bulblax is like a mutant frog combined with late-period Marlon Brando. This series has been getting mentioned a lot on CardinalVirtual, probably because we’re both excited for the long awaited Pikmin 3 later this year (did you see the bit at the announcement where Miyamoto made the Pikmin bow? So cute!). Anyway, like the rest of the game, the monsters on the “Distant Planet” in Pikmin are incredibly original looking. No generic dragons or trolls to be found here. Many of them resemble real creatures but usually with an alien twist (eyestalks, etc), or they’re a combination of two or more real animals (like the half bird, half snake Snagret). Using real animals as a base works incredibly well to help make the game more immersive, since a lot of the appeal comes from exploring and trying to survive in a strange and harsh wilderness, and the very animalistic aliens (at least from Captain Olimar’s perspective) really hammers home this feeling. Their designs also fit in perfectly with Olimar and his pikmin as well as the vegetation and plant life (all of which also look both alien and familiar at the same time). One of the game’s crowning achievements for us is how successfully it creates an environment that feels both natural and alien, and the enemy creatures do a lot to achieve this unique feeling. Throw pikmin high onto the body and watch out for those feet. 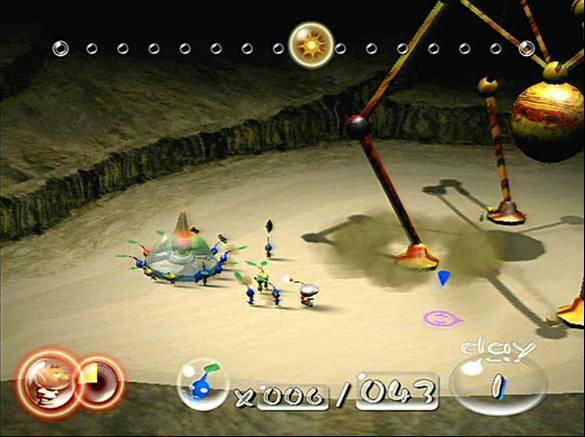 Even though the monsters of Pikmin look very original, they’re also simple looking enough so that their potential danger and weaknesses are apparent to the player right away. 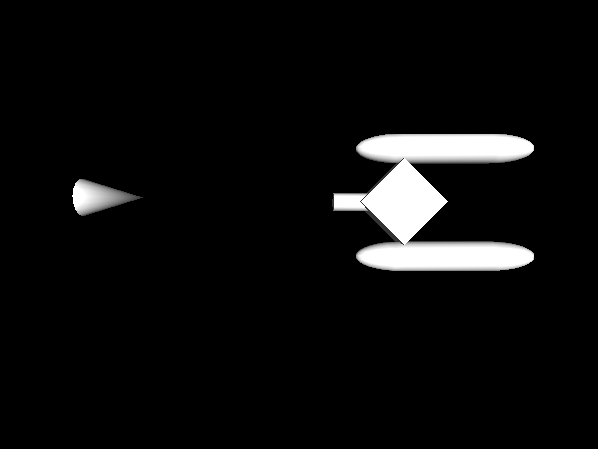 These enemies straddle the divide between a unique artistic design and a practical utilitarian design well. 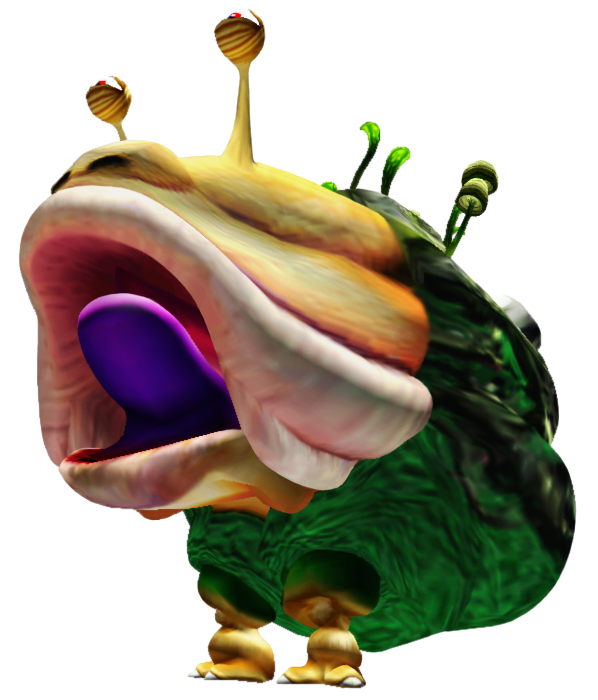 The iconic Bulborb’s gaping mouth that takes up nearly half the creature’s body lets players know right away that this guy will eat a lot of pikmin if he gets the chance, so attack his unguarded back instead. Our personal favorite, the Emperor Bulblax (pictured above) has a long adhesive tongue that your pikmin will stick to, rendering them helpless. But once the player sees this attack in action a few times, he might think that perhaps something less savory might also stick to that tongue (the bomb rocks nearby also provide a hint). Visual touches like this make the already intriguing creatures all the more fun to fight. Whereas other games would give you cutscenes or dialogue to hint at enemy strategies, Pikmin’s design is good enough to do the heavy lifting on its own. Not the kind of angel old ladies collect porcelain statues of. This game has become so well known for its sexually provocative protagonist (who we already talked about in this article), that people tend to forget about the incredible enemy design. It seems like sometime in the Victorian Age, we all forgot that angels are supposed to be powerful and terrifying. There’s a reason they always said “Be not afraid” in the Bible, a reason the developers of Bayonetta certainly understood. Now admittedly, if you had a gaggle of adorable cherubs as your basic enemies, you wouldn’t have very threatening battles (hilarious maybe, but not threatening). But this really isn’t some half assed attempt to put a “badass spin” on something unconventional. The dev team really did their homework when designing these angels. All of the different enemies are placed in one of the nine orders of angels present in Catholicism and often ascribes appearances (wheels within wheels, masses of wings and eyeballs) and roles that are fairly consistent with medieval end renaissance theology. 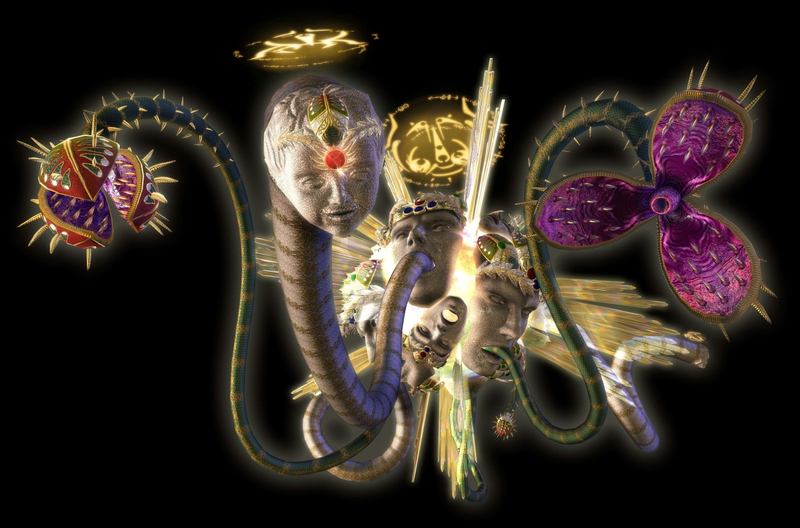 The angels even speak a bizarre language actually created by an 18th-century French mystic who thought he could communicate with angels (in the Bayonetta universe he probably did). Iustitia perfectly combines the beauty and the horror of Catholic artwork. In spite of the overall menacing look that most of the angels have, there’s also a certain beauty to them. Many have these stone or marble faces, often resembling sculptures in Catholic Churches, that look serene and almost childlike, emphasizing the innocence that is such an important part of Christianity. These more beautiful features contrast nicely with the more monstrous body parts, creating enemies unlike anything seen before in a game. Sometimes, this stone or marble coating will crumble away as the angel is battered, revealing a more hideous form underneath. So while the angels do seem appropriately menacing, you still get the feeling that you are fighting something magnificent, which is definitely a quality all depictions of angels should have. 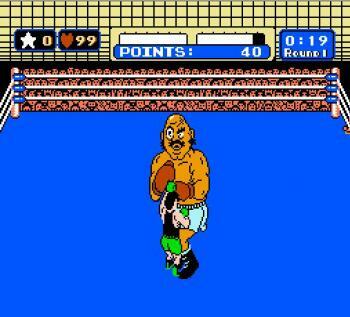 Both of the above mentioned games are part of the past two generations, but Mike Tyson’s Punch Out shows you can have great enemy design on the NES. The sprites are detailed enough to convey real personality, a rarity for 8-bit graphics, and one of the reasons this game still stands today as such a classic. Granted, Punch Out’s gameplay style helps make this possible: since most of the time Little Mac and his opponent are the only characters onscreen, the developers could afford to make the sprites larger and more detailed than those in other games. The animations all feel very unique to the characters too– there’s a level of detail and complexity in the sprite work here that most other games of the generation couldn’t manage. You can pretty much see Glass Joe’s skittishness when he tries to throw a punch, or Bald Bull’s fury when he’s charging up for his bull charge attack. Each fighter has his own tells, and watching for them and knowing what they mean helps make each fight much easier. 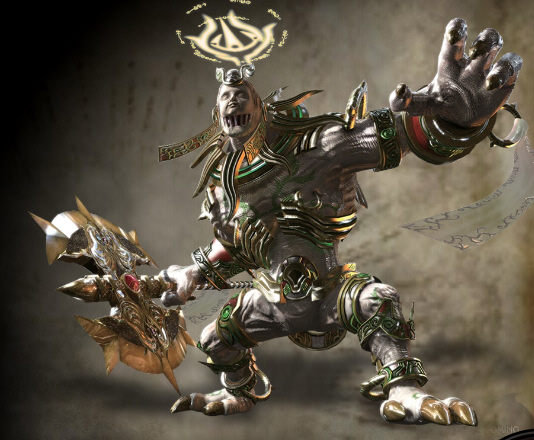 The animations also give you enough time to predict what kind of attack your enemy will use, incorporating the personalities of your enemies into the mechanics for fighting them.